The murder of Russian human rights activist, Natalya Estemirova, cast a shadow over the Russian-German talks. However, President Dmitry Medvedev said he is sure the murderers will be found. The body of Estemirova, who was kidnapped on Wednesday in Chechnya, was found in Ingushetia, Russia’s northern Caucasian republic. “Such a crime must not remain unpunished, it will be investigated in a most thorough way,” President Medvedev said. He also said Estemirova’s murder was linked to her professional activities. “Human rights activists are necessary for every normal state,” Medvedev stated. “She was saying the truth openly, sometimes harshly judging the authorities. But that’s what the value of the human rights activists is,” he said. The president also said “those who committed this crime were expecting the primitive versions of it to be voiced immediately”. “Such crimes are, in fact, timed to coincide with concrete events, this is a provocation,” he stressed. Natalya Estemirova was found dead just one day before Medvedev’s talks with Germany’s leader. Still, economic issues have taken center stage during the meeting. The Russian president and German Chancellor Angela Merkel have re-iterated their support for the Magna-Sberbank bid for carmaker Opel at talks in Munich. In May, Berlin agreed to back the bid by the Canadian auto parts maker Magna and Russia’s Sberbank to buy Opel, which is being shed by US giant General Motors after its disastrous difficulties in the economic crisis. During a news conference in Munich, German Chancellor Angela Merkel said the deal will be finalized in the near future. “The concept of Magna offers very attractive points in order to open up the Opel plants once again,” she said. “And we also hope that Russia will play an important role within this project, and I think that the investors of Magna in Russia will also contribute to this development,” the chancellor added. 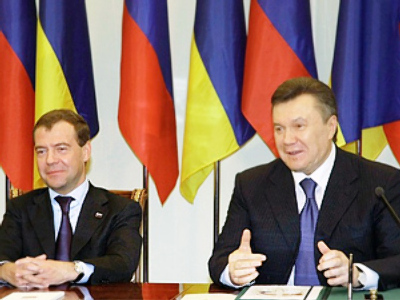 The leaders also endorsed the joint gas pipeline project Nord Stream. The multi-billion dollar pipeline will run under the Baltic Sea from Russia to Germany, bypassing transit countries including Ukraine. Russian president Dmitry Medvedev says Nord Stream is set to provide energy security for the whole of Europe. “Nord Stream has a strategic meaning, not only for Germany, for the whole of Europe. It will help to make Europe energy-secure,” he noted. The Russian leader answered that question regarding the Nabucco pipeline project during a press conference. “We are not in any way jealous of Nabucco – let it develop. 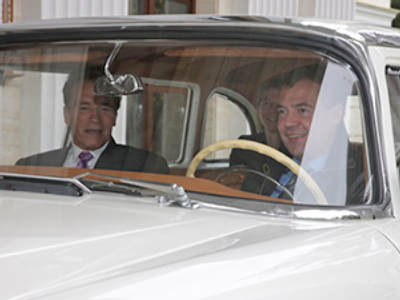 But no one has ever explained to me where it is going to get gas,” Medvedev said. “If gas arrives there, then it’s meant for someone. If it is considered useful for Europe, it means it is good. After all, we are also Europeans,” he concluded. The Nabucco pipeline is billed as being built specifically to bypass Russian territory. It is supposed to deliver gas from the Caspian Sea across Turkey to Austria – at a cost of 8 billion euro and a capacity of 31 billion cubic meters. Last week, Turkey's Energy Minister said Russia could be asked to supply gas to Nabucco. But that’s not something analysts think is likely, as Gazprom has its own projects – namely, the South Stream pipeline.